Johnson likely will dismiss Todd Bowles and also will determine GM Mike Maccagnan's future. Christopher Johnson has spent most of his time in the background during the regular season, speaking publicly only once after the opening game of the season and letting his football people carry out their assignments with little to no interference. But the Jets’ chief executive officer is about to be front and center in determining the future of the team. 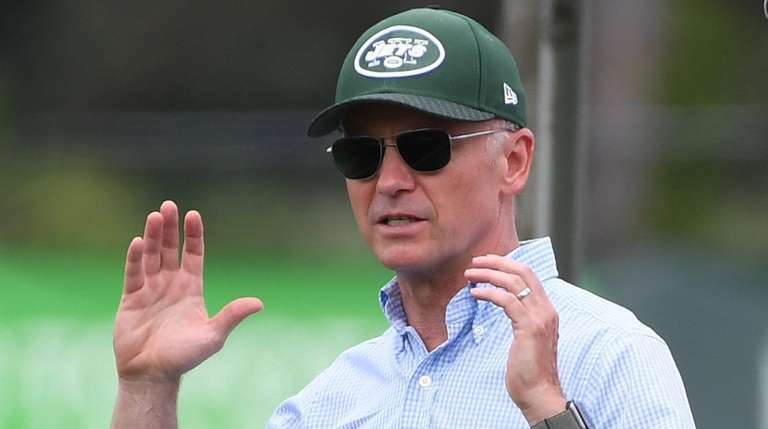 And the decisions he makes in the coming weeks will have a lasting impact on the franchise he now oversees in the absence of Woody Johnson, his brother, who is the United States ambassador to the United Kingdom. With Todd Bowles hurtling toward a third straight losing season with the Jets (3-9), who have dropped six in a row, Johnson in all likelihood will hire a new coach. Given the questions about whether the current roster has been adequately stocked over the last four seasons by general manager Mike Maccagnan, Johnson could decide to do a complete makeover similar to the one that brought Bowles and Maccagnan to the Jets in the first place. Of the two, Maccagnan appears to have the better chance of continuing into 2019, thanks in part to his moves to bring quarterback Sam Darnold to the team and his drafting of star safety Jamal Adams and promising young players such as safety Marcus Maye and tight end Chris Herndon. But there are no assurances, because there have been a number of misses, too. Christian Hackenberg was a colossal bust. Former first-round picks Leonard Williams and Darron Lee, who was suspended for four games on Friday for violating the league’s substance-abuse policy, have underachieved through most of their careers. Decisions, decisions. Johnson will have plenty of them. With a month to go in the regular season, he likely won’t make any significant moves, choosing to let Bowles and Maccagnan serve out the rest of the season. After that, Johnson will take center stage and chart a future course. • Mike McCarthy, former Packers coach. McCarthy’s tenure in Green Bay had run its course, and the Packers fired him on Monday after an ugly home loss to the rebuilding Cardinals. 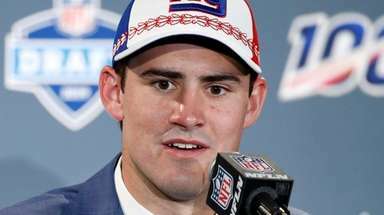 His resume certainly is attractive; it includes a Super Bowl victory and his development of Aaron Rodgers. The Jets absolutely should consider him, in part because they desperately need an offensive-minded coach to get the most out of Darnold. • John Harbaugh, Ravens coach. Harbaugh is most likely to remain in Baltimore, especially if the Ravens reach the playoffs. But there has been speculation about his future with the Ravens, and if the team does make a move, the Jets would have to put him at or near the top of their wish list. He’s a terrific coach, and while he has a special teams background, he is capable of finding the right people to work with Darnold. • Jim Harbaugh, Michigan coach. Harbaugh has tamped down conjecture about whether he might want to return to the NFL, but there is an unpredictability about him that you have to take into consideration. A former NFL quarterback who coached the 49ers to the Super Bowl before losing to brother John’s Ravens, Harbaugh knows how to win. • Josh McDaniels, Patriots offensive coordinator. McDaniels didn’t do himself any favors the way he handled himself in turning down the Colts after agreeing to take the job, and it’s buyer beware for any team — especially an AFC East opponent — to consider him. There is a belief that he eventually will succeed Bill Belichick when the future Hall of Fame coach decides to retire. In the meantime, the Jets ought to take a pass. • Matt LaFleur, Titans offensive coordinator. He has worked extensively with Kyle Shanahan and Sean McVay as an assistant in Atlanta, Washington and San Francisco and has done a solid job in his first year as the Titans’ offensive coordinator. A bit of a gamble, but he’s a bright young offensive mind who should get consideration. • Lincoln Riley, Oklahoma coach. Riley was largely responsible for turning Baker Mayfield into a Heisman Trophy winner and the No. 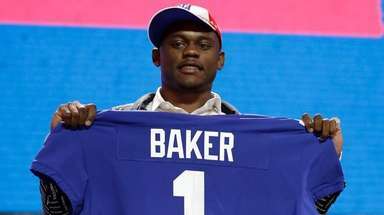 1 overall draft pick with the Browns. He already has been closely linked to the Browns' job and would bring a taste of the wide-open college game to the NFL. • David Shaw, Stanford coach. He played under Bill Walsh at Stanford and has become a terrific coach for the Cardinal. Shaw has been mentioned for other openings in previous years, only to remain at Stanford, but he’s an intriguing possibility who deserves a close look. • Brian Flores, Patriots defensive coordinator. A former Boston College linebacker, Flores took over for Matt Patricia after he got the Lions’ coaching gig. Very well regarded within the Patriots’ organization, especially by Bill Belichick. The only drawback for the Jets: They’re better off going with an offensive-minded coach. Same deal with former head coaches Jim Schwartz, Chuck Pagano, Gus Bradley and Jack Del Rio. • Kliff Kingsbury, former Texas Tech coach. Patrick Mahomes owes a good share of his success to Kingsbury, and the former Red Raiders coach quickly got the USC offensive coordinator job. He is thought to be generating potential interest as an NFL head coach. • John DeFilippo, Vikings offensive coordinator. 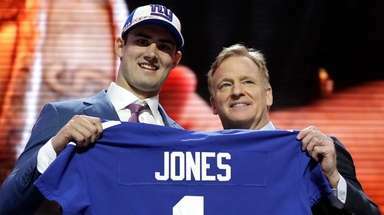 He did terrific work with Eagles quarterback Carson Wentz and Nick Foles during Philadelphia’s Super Bowl run last season, and the former quarterbacks coach got the offensive coordinator job in Minnesota after Pat Shurmur came to the Giants. One cautionary note: Minnesota’s offense has not performed up to expectations with high-priced free-agent quarterback Kirk Cousins.